Russian Kyanite specimens differ from Brazilian ones. Russian crystals are very sharp and thicker, with good transparency and intense, uniform and deep color. 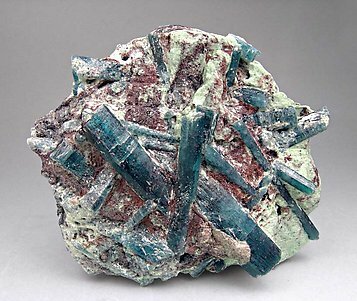 In this sample, Kyanite is esthetically distributed on an unknown phyllosilicate matrix.